In this article, we discuss the procedures for registering your address when moving to Japan from overseas, for moving from one address to another in Japan, and for moving out to leave Japan. 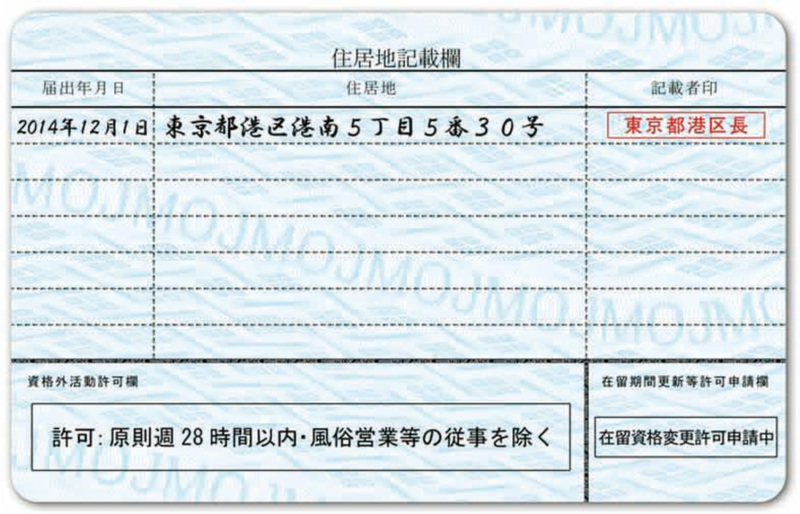 When you arrive in Japan with permission for a mid- to long-term stay (as opposed to coming on a tourist visa), you will receive a Residence Card (在留カード, zairyū kādo) at the airport. You must register your address at your city or ward office within 14 days of moving into a municipality. 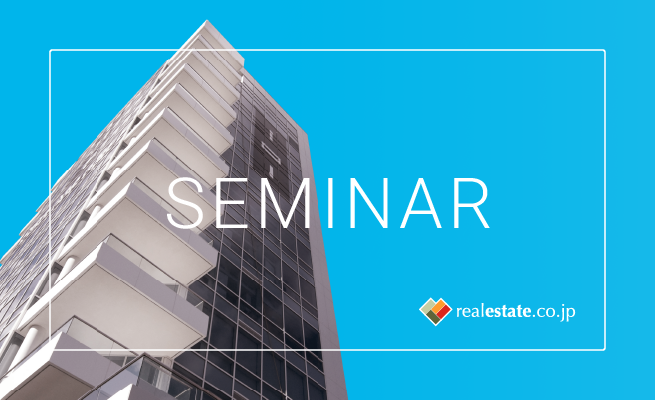 To register your address at a city or ward office, bring your passport and Residence Card. 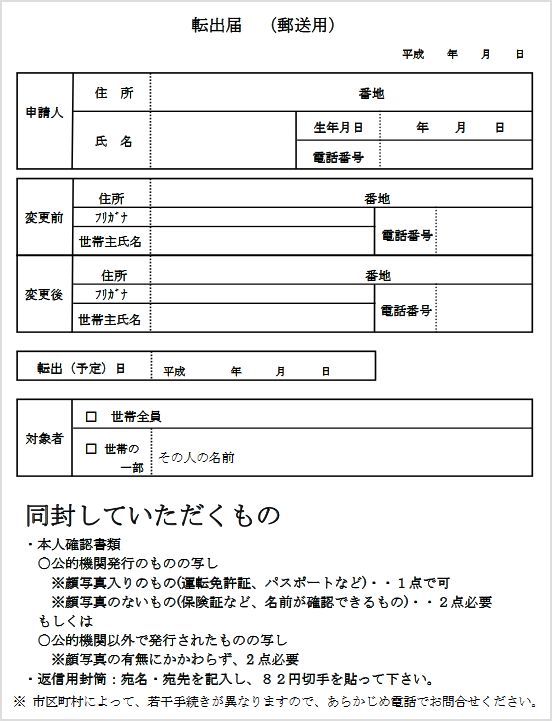 If you are registering family members, also bring your marriage certificate and your children’s birth certificates, as well as Japanese translations of these documents. 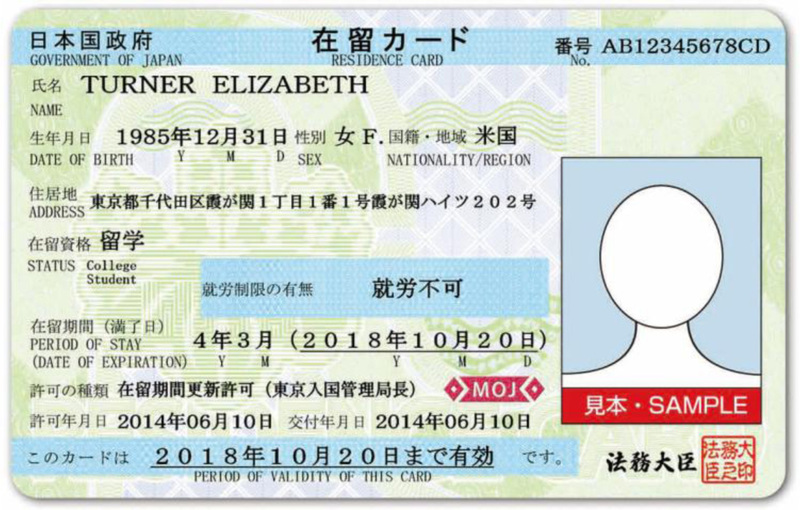 If it is the first time you are coming to live in Japan, your My Number (マイナンバー mai nambā) notification card will be sent to your address once resident registration is complete. My Number also called an Individual Number (個人番号 kojin bangō). This is a 12-digit ID number issued to every resident of Japan and is used for various administrative purposes, including taxation and social security. If you are moving from one municipality to another in Japan (for example, from Tokyo to Osaka, or from one ward to another, such as from Minato Ward to Shinjuku Ward), you also need to register your new address at your new city or ward office. You will need to bring three items: your Residence Card, Notice of Moving Out (転出届, tenshutsu todoke) from your previous ward office (please see the “Moving Out” section beow), and My Number Card (plastic card) or My Number Notification (Paper version). Even if you are moving within the same city or ward, you need to give notice. You will need to bring two items to your city or ward office: your Residence Card and My Number Card (or My Number Notification paper). 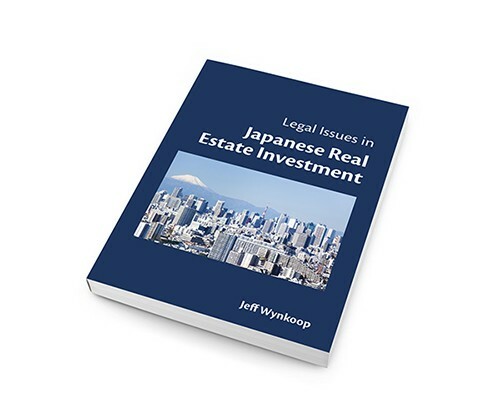 When you are moving out of your residence, either to move to another municipality or to leave Japan, you need to notify your city or ward office within 14 days of the date you move out. To file a Notice of Moving Out, you just need to fill out a form indicating your old address, new address, and effective date of your move; as well as whether the move applies to everyone in your family or just yourself. After you fill out this form, you will be issued the actual Notice of Moving Out. Sample of application form for a Notice to Move Out. This sample is for if you apply by mail. If you go directly to your city or ward office, you can get help filling out the from at the counter of the Residents Support Section. When you move out of a municipality to another municipality (even mid-year,) you will owe Resident Tax for the municipality you are moving out of. Payment slips will be sent to your new address. These can be paid at a bank or convenience store. If you are not covered by your employer’s health insurance, you are required to be enrolled in National Health Insurance. When you move out of your residence, bring your National Health Insurance card when you apply for the Notice of Moving Out. You will be withdrawn from your current city or ward’s National Health Insurance register and your insurance premiums will be adjusted at this time. You will be issued payment slips if you have any unpaid premiums. You can re-join the National Health Insurance program at your new city or ward office. This is the same as described above in the “Moving Out (To Another Munipality)” section above. Visit your city or ward office and bring your My Number Card (or the paper version of your My Number notification) and submit a Notice of Moving Out to the Residents Support Section. Resident tax is calculated based on your previous year’s income. You need to pay Resident Tax even if you leave part way through the year. You can pay the full amount prior to leaving the country or appoint and notify a tax manager who will pay resident tax on your behalf. This is exactly the same as described above in the National Health Insurance section above for moving from one municipality in Japan to another.